As a value driven family business we have worked tirelessly over the past 24 years to develop a flexible live in care service that places our customers at its heart. We achieve this through directly employing all of our care staff and training and developing our carers to deliver person centred care in a dignified and respectful way. 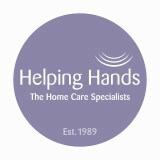 We have a network of Regional Offices, Regional Managers, Regional Trainers and a Registered Nurse to support and develop our carers and to ensure our level of service and care to our customers meets our exacting standards.